Process: The guidelines attached to the President’s Memorandum dated 8 July 2014 calling for the 2014 Merit Promotions provides on page 3 that “recommendations for promotions for crossing rank (from Assistant Professor to Associate Professor), and for the Associate Professor rank and above will be endorsed by the Chancellor to the OVPAA System Committee formed by the President, chaired by the Vice President for Academic Affairs, and composed of the AVPAAs, VCAAs [of the CUs] and Associate Dean [of UP Cebu]; and that the OVPAA System Committee will endorse its recommendations to the President, who will then recommend to the Board of Regents.” This committee met for four days from morning till afternoon/evening over two weeks. Two VCAAs (Dr. B. Pacheco of UP Diliman and Dr. J. de Luna of UP Manila) could not attend and instead sent their representatives. Some CUs had more than one representative. After each CU presented the criteria and point system used, and some examples of promotions, particularly on crossing of ranks, the guiding principles for system-wide harmonization were discussed and agreed upon. The VCAAs or representatives were frequently reminded to go back to their CUs in between meetings to undertake “self-reflection” and “self-correction”, and to revise and further refine their recommendations, after hearing other CUs that required many more accomplishments per step. At the committee meeting on 24 September, each CU was required to leave its complete records in OVPAA so that the OVPAA Team (I and the 3 AVPAAs) could do a random sampling or audit of the records. It was then that UPLB VCAA Oscar Zamora asked whether the OVPAA Team would serve as an oversight/review team and I confirmed this was the responsibility of OVPAA. The OVPAA Team audit revealed that some CUs did not make any adjustments to conform to the guiding principles for system-wide harmonization agreed upon by the committee. There were still glaring differences in the metrics used for accomplishments per promotion step within and across CUs (Table 1). This prompted the OVPAA Team to review each of the documents from the CUs and make its recommended adjustments. The OVPAA Team sent these recommended adjustments to the Chancellors on 14 October after presenting them to the President in preparation for the PAC meeting scheduled for 20 October. The OVPAA letter to the Chancellors did not in any way indicate that the decisions for promotions had been finalized. In fact, the agenda of the BOR meeting on 30 October (which had to be prepared at least a week before) did not include Merit Promotions because the list was not yet finalized. At the PAC meeting on 20 October, the CUs were told to review the upward and downward adjustments recommended by OVPAA and submit their comments. It was also decided during the PAC meeting that appeals be made on a case-to-case basis given that the bases for adjustments are not the same for all cases. Schedule: The schedule of the Merit Promotions exercise was significantly delayed due to requests from the CUs for the postponement of deadlines at the different stages for various reasons peculiar to their situations. The extended deadline of 2 September for CU submissions was not met by UPD and the first meeting of the OVPAA System Committee was moved to 9 September. Records from UPD came in several batches, and still with insufficient documentation. Records from UPM were found to be incomplete and unclear. Records of several NIH faculty were missing. OVPAA constantly followed up records with UPD and UPM officials. 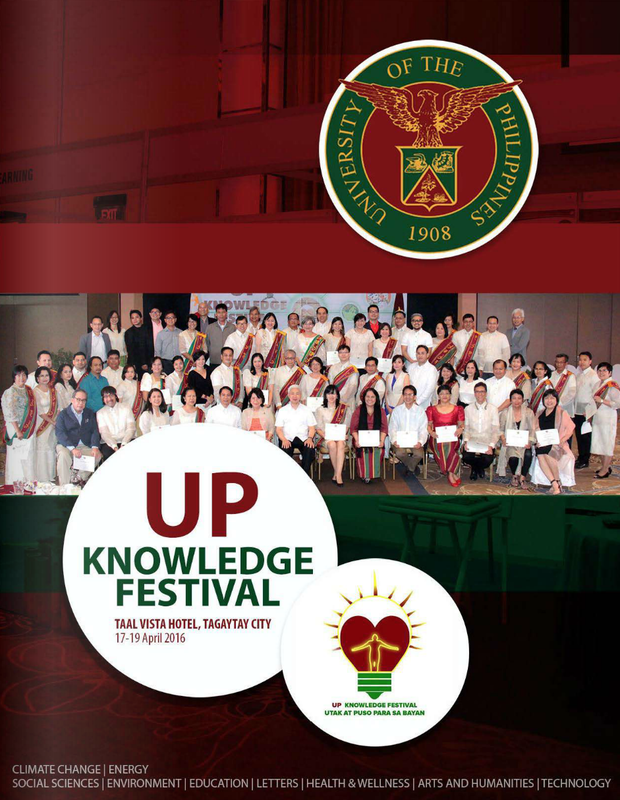 On the other hand, documents from UPLB and UPOU were outstandingly organized, clean and complete. Other CUs likewise submitted good documents. 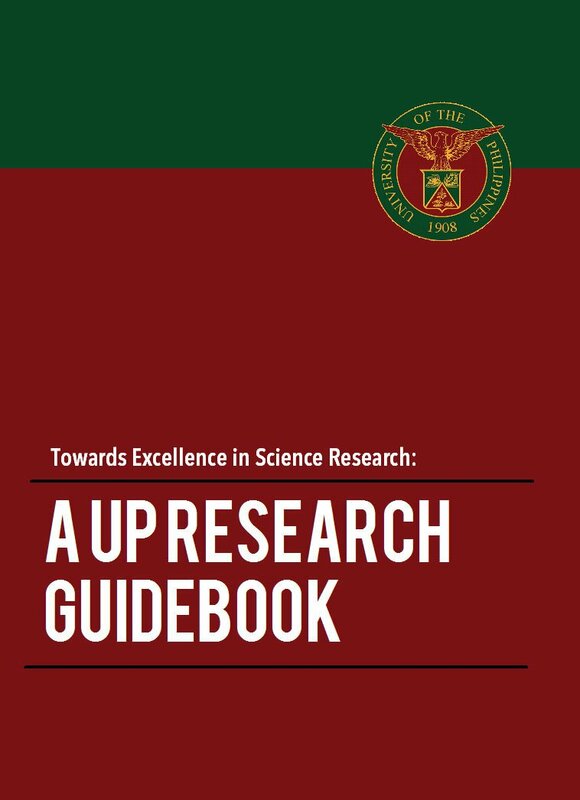 Further, the evaluation process indicated on page 3 in the guidelines from the President was not followed by UPM. UPM forms indicated exactly the same recommendations (i.e., no changes at all) from the unit to the college to the CU level. As it turned out, the units did not make recommendations at their level. So the VPAA asked the UPM VCAA to go back and obtain the recommendations of the units, colleges, and the CU. This caused further delay in the OVPAA review. What should have taken the OVPAA one week of review took two weeks instead. This further compressed the time for the OVPAA Team to communicate their recommended adjustments to the Chancellors and for the CUs to send back their comments, objections or appeals to OVPAA. At the 20 October PAC meeting, the Chancellors were informed that the OVPAA recommendations can be appealed on a case-to-case basis, and they still were not final. In fact, some CUs (e.g. 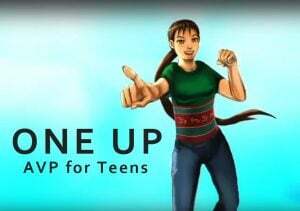 UPD and UPM) transmitted appeals for some of their promotion recommendations only recently which has necessitated last minute reviews by the OVPAA. Basis of OVPAA’s recommended adjustments: The OVPAA Team included general explanations for its recommendations. These are the harmonized guiding principles that resulted from the four meetings of the OVPAA System Committee in September as attached to the OVPAA letter to the Chancellors on 8 October 2014. The OVPAA Team would have wanted to provide a detailed explanation for each revision made but time did not permit this. We had to communicate this ASAP to the Chancellors to elicit feedback, in order to meet the schedule for BOR approval and submission to the DBM. Comments, appeals and explanations: Soon after the letters were sent to the Chancellors, we received kind letters from some Chancellors with their comments and appeals. We replied to every letter received including those from UPM. We also received some commendations, messages of support, of the oversight that the OVPAA Team tried to perform to recognize high level of accomplishment and harmonize promotions across CUs. While the President has decided not to implement the downward adjustments recommended by the OVPAA Team, OVPAA can provide the basis for reduction recommended for each faculty member concerned, even if it seems moot at this point. OVPAA also has basis for the additional steps proposed for each faculty member so recognized. In particular, OVPAA can explain the crossing of ranks (or not) of the affected faculty members based on their academic discipline, generation/age, discipline-based terminal degree, scholarly output, outstanding professional practice, and other considerations. Further, one who has been allowed to cross ranks which requires steep/gatekeeper accomplishments, is unlikely to earn many more steps at the higher rank. Initially, certain current faculty administrators (serving not within the evaluation period) were recommended for additional steps. This was done with concurrence, based on suggestions, of other officials including CU officials. The President and OVPAA have since taken away such additional steps. Even with the OVPAA proposed adjustments, many of the affected faculty members would still be promoted several steps this time – like never before. The 2014 Merit Promotions process has been very transparent (some say, the most transparent in all of UP’s recent history). With all data out in the open, the CUs have been able to air their comments, objections, and appeals, and these have been and are being considered before final decisions are made. Some of the issues being addressed by this letter precisely arose because of the transparency of the process. In the past, many would find out the reduction in their recommended promotions months after the final decision was made; and due to the limited funds for Merit Promotions, many did not get promoted. In the current Merit Promotions exercise, budget limits have not been set per CU or per college; recommendations for promotion have not been restricted but allowed freely based on actual achievements of the faculty members. 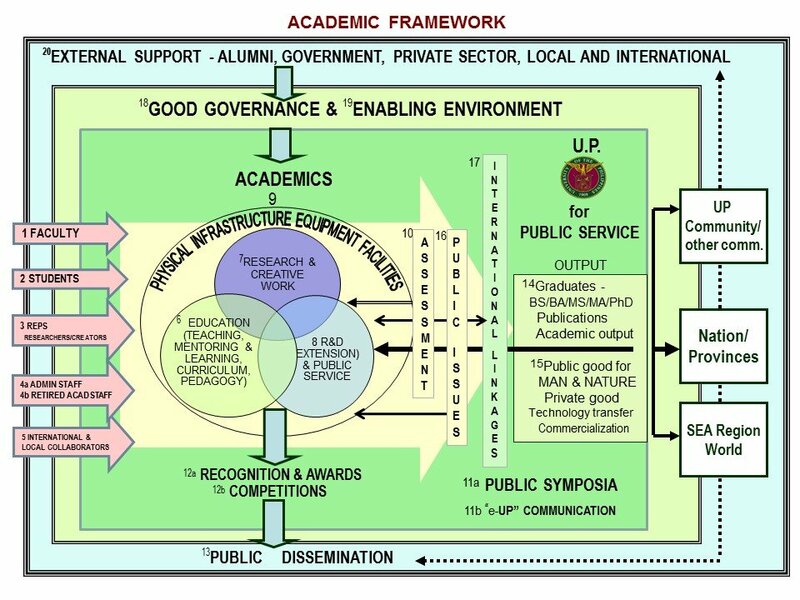 The ongoing Merit Promotion is based on the Principle of Academic Excellence and Scholarly Productivity (UP Mandate, UP Code, 2008 Charter), and the One-UP Principle of President Pascual’s administration. This Merit Promotion considers the highest possible promotion to the most deserving faculty members. It considered not only ISI & SCOPUS publications but all peer-reviewed and juried publications, including excellent/significant body of works of faculty members in colleges where such is appropriate. This Merit Promotion considered “gatekeeping” guidelines for crossing ranks especially to Full Professorship. It is regrettable that the Merit Promotions exercise has caused controversy. We have all learned from the experience, even as OVPAA continues to offer new programs and initiatives to serve the best interest of the UP faculty, our most valuable resource.